-Salsa Bar: Chips and Salsa is my fuel. My favorite snack. It’s like oxygen to me. And I have high standards. I want crispy chips, fresh from the fryer. And I want flavorful, spicy salsa. Lucky for me, Los Agaves has excellent tortilla chips. But they also have a salsa bar with about 6 salsas to feast upon. They have so many varieties from habanero to chipotle to an avocado salsa to tomatillo and so much more!!! And they are all equally good. I love being able to mix up the salsa flavors and enjoy them. Honestly, sometimes I come here for that salsa bar alone. -Yummy Seafood: I love seafood!! Some restaurants have the yummiest seafood and others the seafood is slightly sketch or leaves something to be desired. Los Agaves has super fresh and yummy fish and shrimp and they have so many different preparations! I love the Baja Shrimp Taco special and also their chiles stuffed with shrimp and cheese (called Chiles Nortenos). They also have seafood molcajetes and fajitas which look divine, and seafood enchiladas! Yum! -Tortillas! the tortillas here are fresh and yummy! A must at a good Mexican joint! -Friendly service: Everyone here is always so happy and nice which makes it that much better! 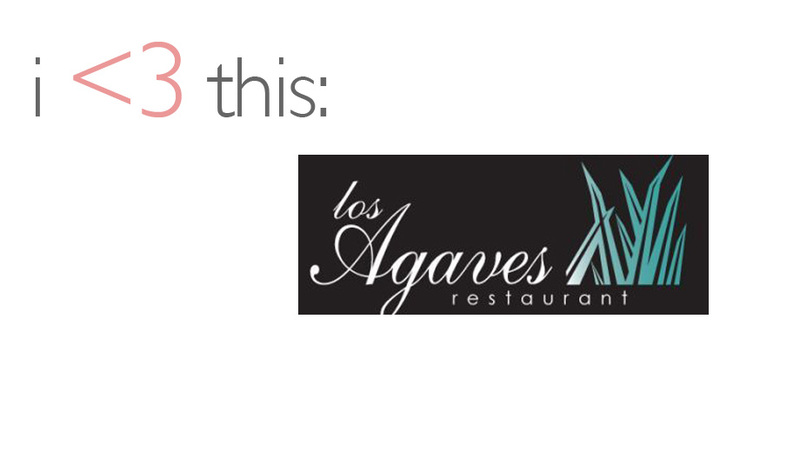 All in all I adore Los Agaves, and it is always one of my first choices to go to on date night! Yum!!! What is your fave Mexican food place and why?